Dozens of helpful tools all in one place, presented in an easy-to-read and easy-to-use format. The perfect companion for young writers at school or at home. This ground-breaking reference book helps students write better, faster, and with less anxiety. Don’t settle for dull, lifeless writing. Using the wide variety of tools in this book, you’ll see dramatic improvements in no time. NEW! Try our StoryDecks online! If your school is a participant in our One-for-One Free Book Program, please select your school from the list below. My school is participating, but it is not on this list! My school doesn't participate, but I wish it did! If you believe your school is participating in our program but you don't see the school listed above, please hit the Cancel button below, and be sure to enter your school's name when you order books and/or email us so we'll know to credit your school. If your school is not currently a participant in our One-for-One Free Book Program, please click on the Cancel button below. 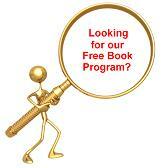 You may also want to read more about the program by clicking on the Free Books link. 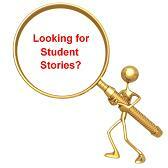 You can work with your principal or Parent-Teacher Organization to join!